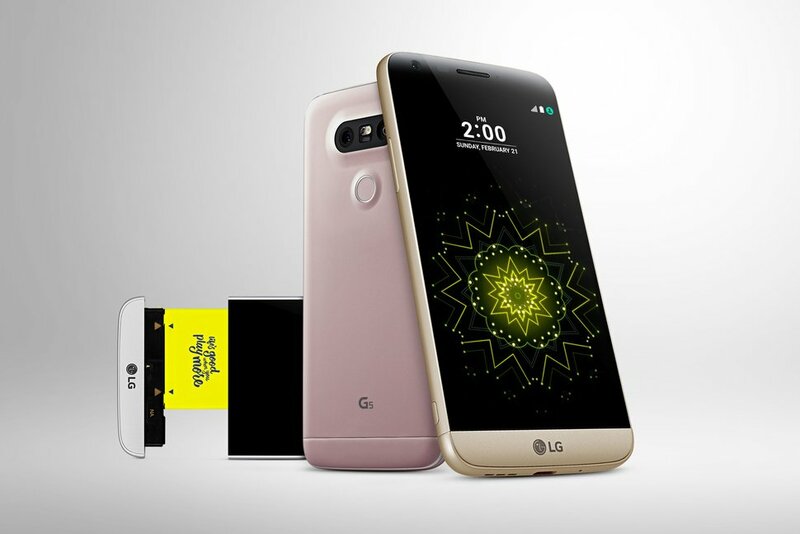 LG G5: Flagship That Has Concept To Swipe compatible Hardware: Last month LG had launched their flagship called as LG G5 which is a step to toward modular phone. It over 2 year we have seen Google’s modular project called project Ara but still not release yet but LG took a toward modular phone launch G5. Basically a modular phone is based on concept swipe hardware and changes it with other compatible hardware to use it with device. There are many possibilities for modular case which can build many manufactures for different purpose and different situation. 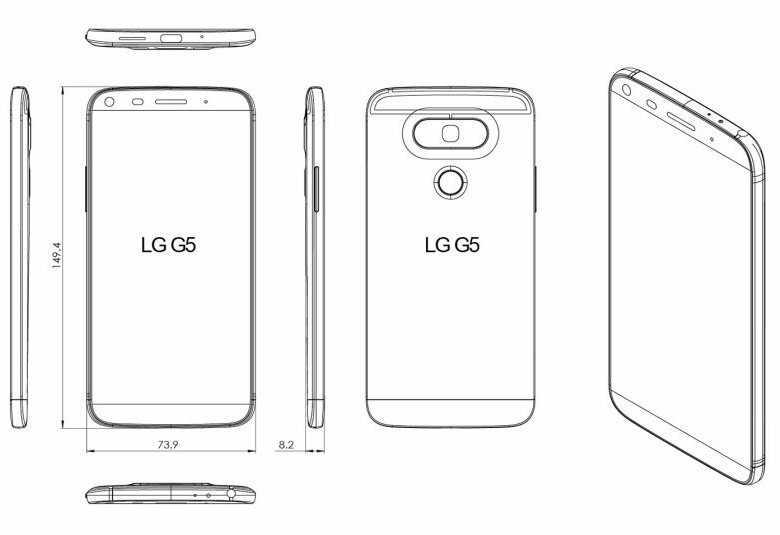 While LG took serious design change of LG G5 as compared to other predecessor. LG has completely revamped G5 from head to toe with new design, swap for modular part, fingerprint sensor, new rear dual camera and so on. From internal G5 uses new Snapdragon 820 with 4GB of Ram with storage of 32GB with expansion possibility up to 2TB which makes it a serious competitor in the market in terms of performance. G5 has 16MP with 8MP dual camera at the back for normal and wide angle view and front facing camera of 8MP which makes you love your photography. With all this changes let’s see how G5 perform real scenario. LG adopted seriously new design as they took a step to modular shapes with some hardware offer by LG and B&O which makes it fantastic. For swapping the mods you just need to push the button on side of the phone and base of phone comes out with the battery and swipe it with cam plus or Hi-Fi Plus. 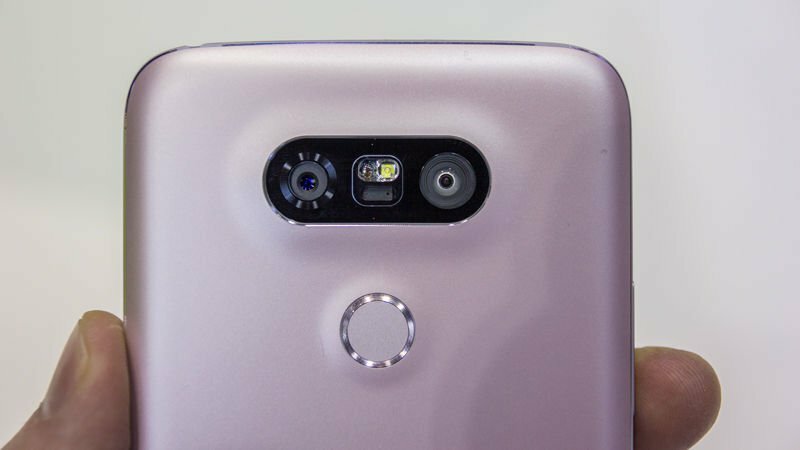 LG also introduce new fingerprint which itself if power button and dual camera at the back which makes it a good deal. G5 measures about 149.4 x 73.9 x 7.7 mm (5.88 x 2.91 x 0.30 in) and weigh about 159 g (5.61 oz). LG made this phone with aluminum first time in their flagship as earlier flagship G4 made up of leather at back. G5 available in 4 color option of Pink, Silver, Gold and Titan. G5 has a QHD 5.3 inches LCD display with 1440 x 2560 pixels (~554 ppi pixel density) pixel resolution of with a protection with Corning Gorilla Glass 4. Display is good and performs well in all daylight situation. Display comes with a feature called always on display which light up certain pixel of the screen to show time and important notification and uses 1-2% battery per hour. G5 uses Qualcomm’s Snapdragon 820 CPU which clocked Dual-core 2.15 GHz Kryo & dual-core 1.6 GHz Kryo at with 4GB LPDDR4 Ram. As same CPU use by LG as other manufacturers use for this year flagship. This processor is really a beast and good of do any type of multitasking, gaming without any issue and performance drop. 4). Camera: Two is good as one? LG use two rear camera in this flagship 16-megapixel (f/1.8) camera with a standard 78-degree wide lens and an 8-megapixel (f/2.4) camera with a wide-angle, 135-degree lens. By having dual camera at the back photography is phenomenal as the photos are good. LG changed the camera UI called multiview shot now we can use three camera (front and back) simultaneously to create multiple different shots which make good picture collage kind of fun photos. 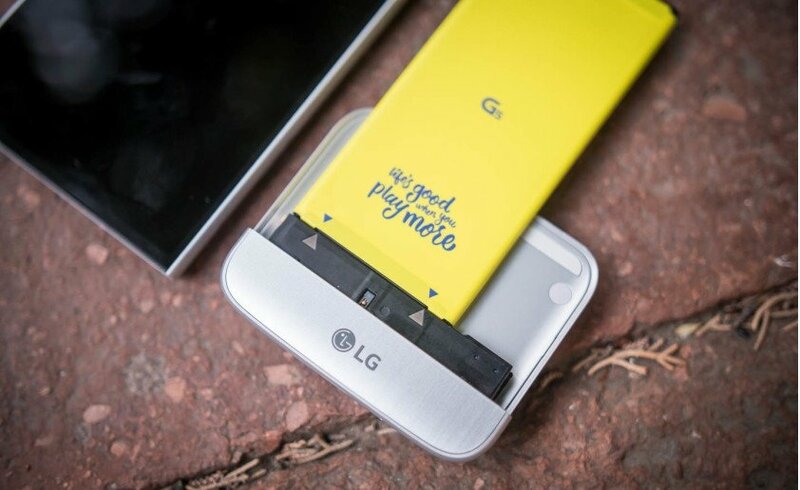 G5 has Removable Li-Ion 2800 mAh battery gives a decent battery life of all day with normal usages as LG takes their modular journey to another level as they provide extra charging cradle for charging another battery while we using one inside the phone which is pretty awesome thing. Fast battery charging option is available with Quick Charge 3.0 which can charge 83% in just 30 min. 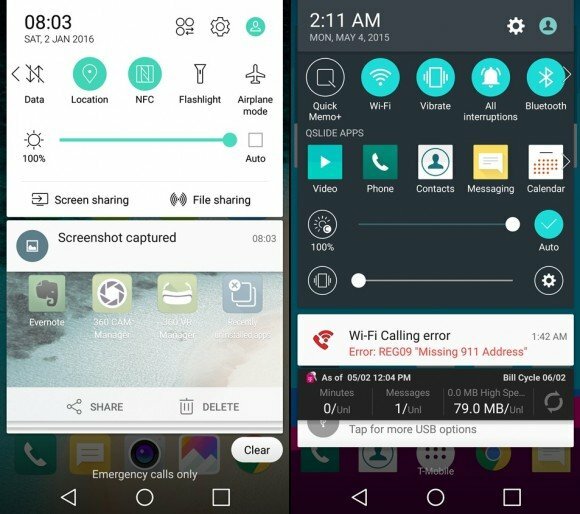 Interface of G5 is basically is Google’s Android 6.0.1 (Marshmallow) topped with LG own Optimus UX 5.0 UI. Which is pretty different from UI we have seen earlier form as LG takes some serious decision by provide UI without app tray which is a fundamental for android as we can change it and back the app tray on the screen. And there are many fundamental changes to match the marshmallow UI. G5 till comes with two mods or called modular case one is camera grip and one with a sound case from B&O which gives a good sound from 3.5mm audio jack output. 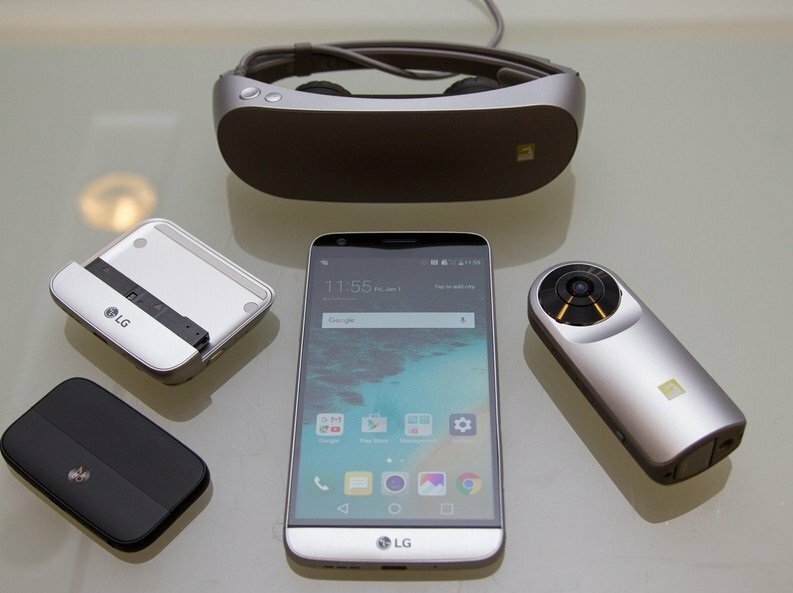 LG launches new set of other accessories called LG friend which include a 360 degree camera, VR(Virtual Reality), Rolling Bot, Audio Earphone and charging cradle. 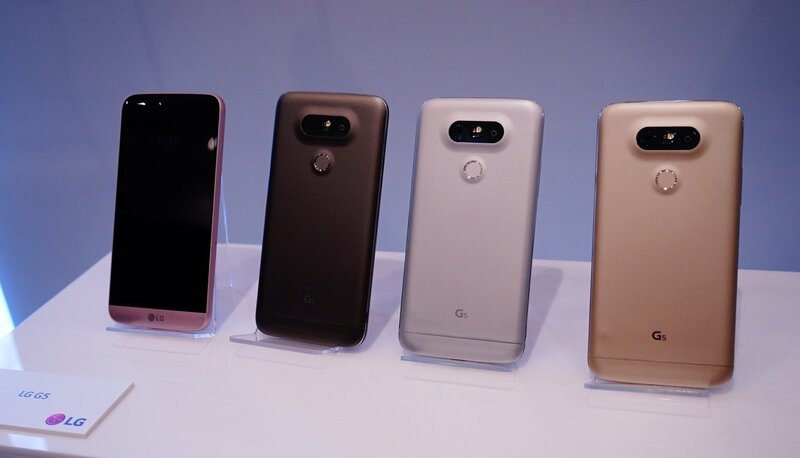 LG G5 is good Smartphone which is available in the market and create tough position in the market for other manufactures by giving something new to people. 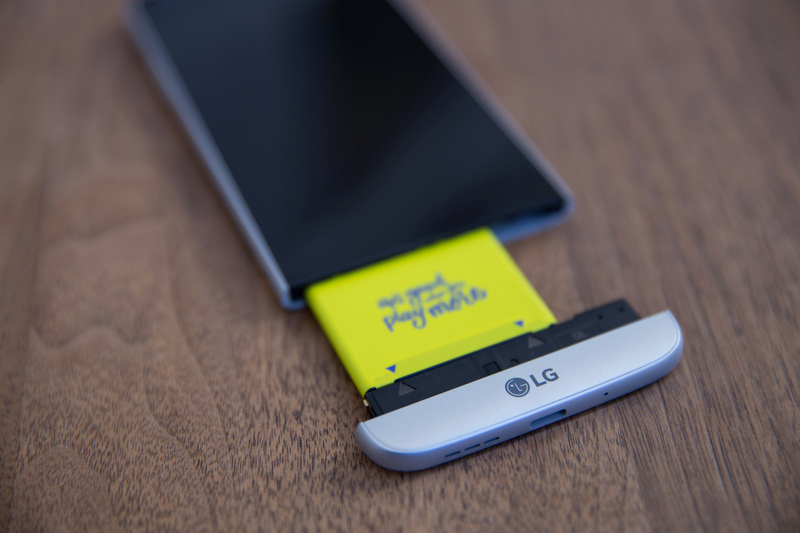 Modular technology is new to consumer smartphones world can LG takes it further by offering something new. G5 has the connectivity option as with a LTE, Wi-Fi 802.11 ac, USB Type-C port compatible with USB 3.0 standard, NFC, and Bluetooth 4.2. Starting Price of G5 is $700 for 32GB and cost extra form modules and accessories.